At present, heart disease is a common problem. If you suffer from diabetes, heart problems beware! People with diabetes have double the risk of heart disease than those who do not have diabetes, but thankfully there are steps you can take to reduce your chances of developing complications. Diabetes alone is a risk factor for developing heart disease. Over time, high levels of blood sugar are damaging the blood vessels throughout the body, but especially the heart and brain. As a result, they increase the chances will suffer a heart attack or stroke. 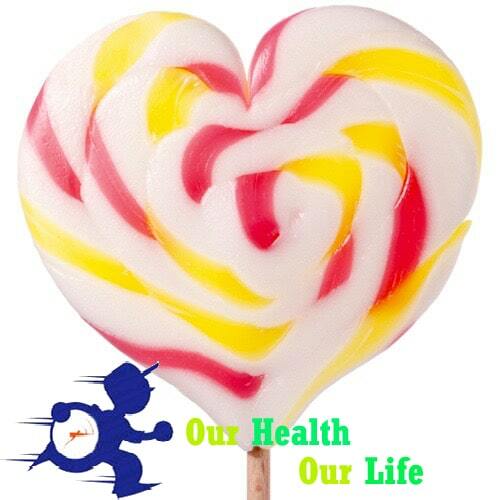 But if you control diabetes, heart disease risk will be low. Coronary artery disease – is the slow narrowing of the heart arteries due to fatty deposits mainly called plaques. For example, if a cholesterol plaque ruptures suddenly, blockage that forms in the arteries of the heart can cause a heart attack. Heart failure – is a chronic condition in which the heart loses its ability to pump blood effectively. Its main symptoms are shortness of breath and swelling of the legs due to fluid retention. The coronary artery disease mentioned above is one of the leading causes of heart failure. Abnormal cholesterol levels – for example, low levels of HDL or “good” cholesterol, or high levels of LDL or “bad” cholesterol. The “good” cholesterol (HDL) delivers fatty deposits inside blood vessels and leads to the liver where are eliminated. A low level of “good” cholesterol (HDL) increases the risk of heart problems. The “bad” cholesterol (LDL) accumulates inside the blood vessels, narrowing the arteries that carry blood from the heart to the body, and may block it. A high level of “bad” cholesterol (LDL) increases the risk of developing heart problems. Triglycerides – The high level of this other type of blood fat, can raise the risk of heart disease. Excess abdominal fat – waist measurement greater than 35 inches (88 cm) in women and 40 inches (102 cm) in a man are signs of abdominal obesity. Abdominal fat increases the production of LDL, with its negative consequences. High blood pressure (hypertension) – is common in diabetics, and makes the heart work harder to pump blood. High blood pressure can damage blood vessels and increase the risk of heart attacks, strokes and vision problems and kidney. Smoking. Cigarette smoking doubles your risk of heart disease because it also narrows blood vessels. In addition, you can increase the possibility of developing complications such as eye problems, and when damaged blood vessels in the legs , increases the risk of amputation is necessary. Heredity. Having a family member with heart disease also increases the risk of developing this condition. 7 ways to protect heart if you have diabetes. Become an A1C – is a blood test that provides an approximate assessment of the level of sugar during the preceding two to three months. The ideal is an A1C less than 7%. It gives you an idea whether your treatment is working or if you need to adjust your plan. Control your blood pressure – In general, diabetics should keep a blood pressure of 130/80 mm Hg. Control your cholesterol – It is important that you keep it at bay. The goal for diabetics is an LDL (low density cholesterol) of less than 100 and greater than 40 HDL. Eat a healthy diet – make sure you eat enough fiber, including cereals and whole-grain breads, beans (bean, beans), fruit and vegetables. Limiting the amount of saturated fats, which raise the level of cholesterol. This type of fat is found in meats, poultry skin, butter, lard and whole milk products. And certainly, prevents or limits the amount of trans fat you eat. Stop smoking – If you suffer from diabetes, immediately get away from the cigarette. Find out about new treatments to quit smoking, they have shown to be effective and seek medical help if you can not quit on your own. Exercise – All people benefit from physical activity, but especially diabetics . Be sure to include physical activity in your daily routine. A daily walk is one of the easiest and most effective to reduce the risk of heart disease forms. Physical activity also keeps under control the level of blood sugar and blood pressure. However, consult your doctor before starting an exercise program. Ask your doctor if you can take aspirin every day. Some studies show that a low-dose aspirin daily reduces the risk of developing heart disease, but not everyone should take it. Only your doctor can decide whether you should or not. Even if you have diabetes, you can lead a normal life if you go by certain rules. The key is to follow to the letter the instructions of your doctor and take without fail the drugs prescribed you. And certainly, put on your side, controlling your diet, watching your weight and maintaining physical activity that suits your health.